Vancouver Heritage Foundation is celebrating the unique architectural styles of Vancouver and the history they embody. The 2014 tour gets inside charming storybook style homes, the elegant house of a former RCMP Inspector (including the post he tied his horse to), three residences with direct ties to Vancouver's booming turn of the Century lumber industry, and the impressive abode of Alderman, MP and Senator, S.J. Crowe. Your guidebook tells the story of each home, who lived there, and the renovations and restorations completed over the years. Whether you are looking for design ideas for your own character or heritage home, or are interested in exploring Vancouver's history by learning about the people who built it, this tour of the year offers a fulfilling and fun day. Get your friends together and carpool, or make use of Vancouver's network of bicycle paths. The Mount Pleasant Business Improvement Area (MPBIA) presents the community’s first ever “Mount Pleasant CAN” event, a community fundraiser for the Greater Vancouver Food Bank, to build awareness around the importance of working together to support community! Coordinated by the MPBIA and instructor Darinka Aguirre from the Art Institute of Vancouver (Ai), student teams will collect canned goods and cheques and build dynamic structures – all in one day only – on the SW corner of East Broadway and Kingsway on June 6, 2014. Contact Kara Mintzberg, Manager, MPBIA (kara@mpbia.ca | 604-874-9816), to make a donation or ask questions. The good feeling of the Markets gets even deeper. The weekly Markets help create healthy food networks that sustain our land, our community, and our homes. "Bird's Nest".... hidden up from view on the corner of Union & Heately, this sweet Strathcona character house sits nestled in the trees offering street and mountain views. Move in ready this home serves up large with 3 bedrooms on the main, and a large master bedroom up, with laundry, potlights and skylights. Main level has gorgeous Kempas hardwood floors throughout, tall ceilings, bay windows, original casings, trim & mantle, and newer kitchen w/stainless appliances & gas stove, and island; 4 piece bathroom, stairs and large deck off of kitchen into a fenced, private sunny south facing yard. Hot water on demand system, roof, electical, carpeting, plumbing - all that's left is to restore the exterior and/or grow - lots of FSR left to extend the house out back, or build laneway house - room to dream! See Realtor's website for floorplan, history on the house, and list of upgrades. OPEN HOUSE: Sun June 1st, 2:00 - 4:00. I am inviting you to join and like my Facebook page and follow me on Twitter. 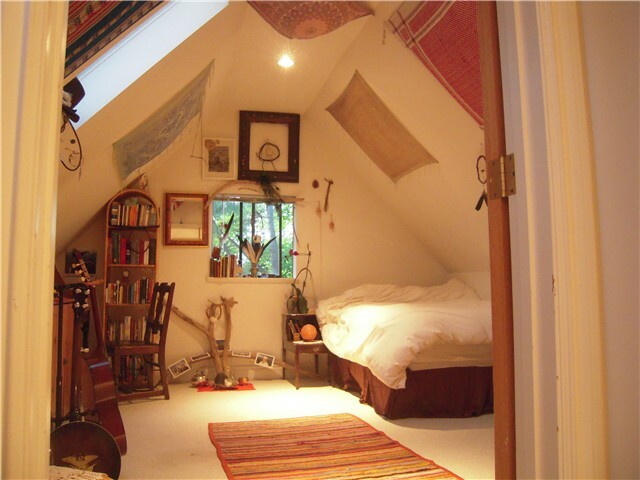 You will find updates and tips on real estate, housing market, home renovations and decoration. The first ever Made in Strathcona Tours will allow the public to discover some of the cities most historic, creative and diverse businesses, offering guests an exclusive peak into the inner workings of the areas industries. Made in Strathcona Tours are composed of two tour streams hosted on Saturday, May 31 and Saturday, June 7 from 1 to 3 p.m., which will showcase the diverse array of businesses including premiere dining restaurants, longstanding manufacturing businesses, new creative agencies and some of the hidden gems of the city. More info and to register for a tour at www.madeinstrathcona.com. 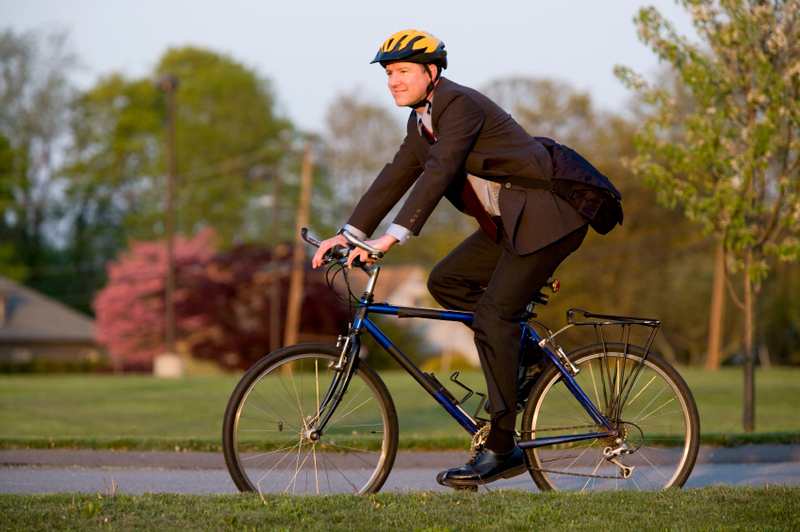 Do you always wish to try biking to work from your lovely home and beautiful neighbourhood? The Bike to Work Week events happen once in the spring and once in the fall, with an interactive online tool to map and track your trips, enter prize draws, compete with other organizations, and win fabulous prizes and awards, all for free! Chart the benefits: kilometres, calories, carbon savings. Challenge a friend or co-worker; challenge yourself and discover how fun it is. Click here to view details. "Bird's Nest".... hidden up from view on the corner of Union & Heately, this sweet Strathcona character house sits nestled in the trees offering street and mountain views. Move in ready this home serves up large with 3 bedrooms on the main, and a large master bedroom up, with laundry, potlights and skylights. Main level has gorgeous Kempas hardwood floors throughout, tall ceilings, bay windows, original casings, trim & mantle, and newer kitchen w/stainless appliances & gas stove, and island; 4 piece bathroom, stairs and large deck off of kitchen into a fenced, private sunny south facing yard. Hot water on demand system, roof, electical, carpeting, plumbing - all that's left is to restore the exterior and/or grow - lots of FSR left to extend the house out back, or build laneway house - room to dream! 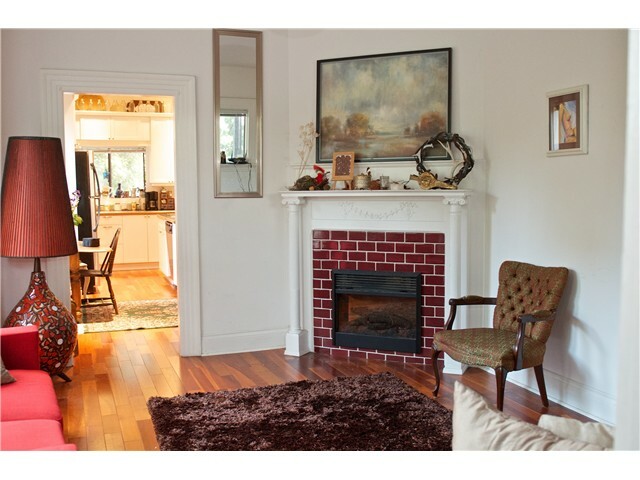 See Realtor's website for floorplan, history on the house, and list of upgrades. Sneak peek: May 22 6 - 7, OPEN HOUSE: Sat/Sun May 25/25 1 - 3:00. For the last week of May, the Eastside Flea (ESF) will be filling the bright space at 585 E. Broadway with a beautiful display of 35+ revolving Eastside Flea vendors in an inviting setting alternate to the usual markets! ESF will be hosting a fun Summer Launch party, as well as workshops & other attractions to bring people down to the space day & night. A 10-minute walk from Main St, the shop will also include a lounge area & record listening station for visitors to hang out, stick around and browse all of the goods. 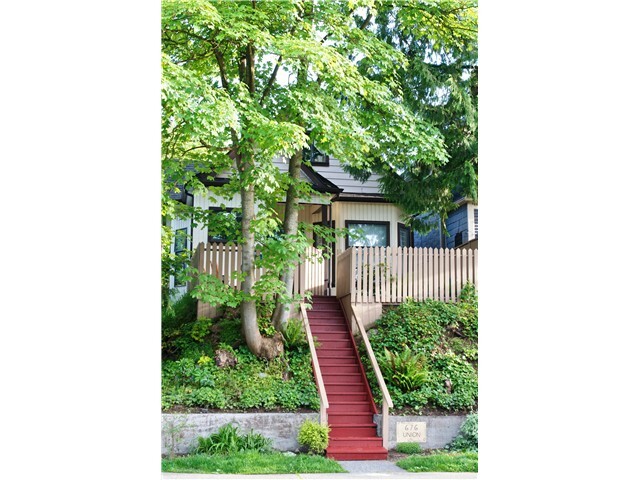 The British Columbia Real Estate Association (BCREA) recently released its 2014 Second Quarter Housing Forecast. 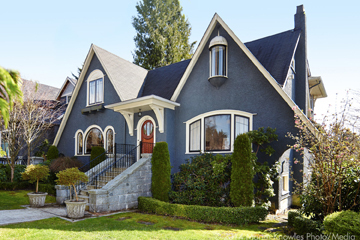 “BC Home sales are expected to trend higher this year and in 2015, as stronger economic conditions both at home and abroad bolster consumer demand,” said Cameron Muir, BCREA Chief Economist. Click here to view the full BCREA news release and housing forecast. As part of Vancouver Heritage Foundation's Old School workshops and courses, this unique walk will explore heritage windows and storefronts in the Main Street, Chinatown and Strathcona neighbourhoods with Historian John Atkin, and Vintage Woodworks founder Jim Stiven. 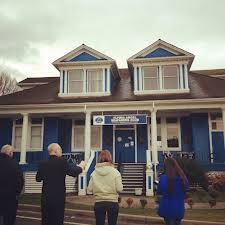 Examine different styles and eras of buildings and houses and hear a little bit of Vancouver history. Participants will take a closer look at windows and storefronts to learn how and why old wood windows stand the test of time. 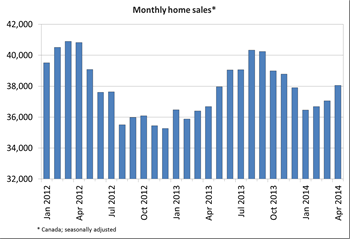 According to statistics released today by the Canadian Real Estate Association (CREA), national home sales activity was up on a month-over-month basis in April 2014. View the Housing Market Update Videocast from CREA. View the detailed CREA news release. Do you know how Granville Island was transformed from an "Industrial Island" into a thriving tourist and artisanal milieu? 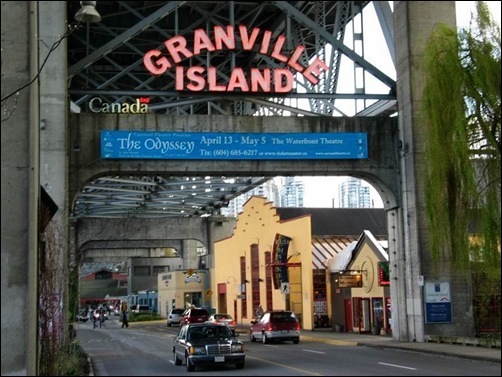 Take advantage of the nice spring weather and join Vancouver Heritage Foundation's guide Maurice Guibord for an informative and entertaining walking tour through Granville Island. You will revisit the past and the present of the island, and learn many interesting stories which you won't believe. Come find out! So, you’ve finally decided to fulfill your dream and buy your own home… how terrific! Buying a home is one of the biggest financial and emotional decisions you'll ever make. 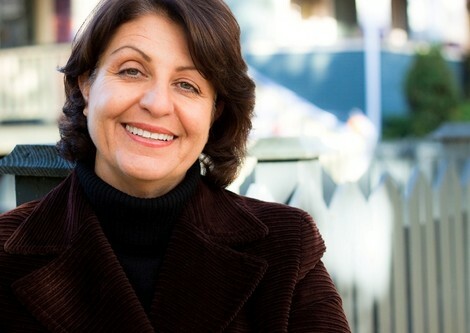 Prepare by learning about the process of homebuying and the responsibilities of homeownership. The differences between renting and buying a home are vast, and there's a long list of pros and cons for both options. Before moving forward, here are some questions to consider. Are you ready to devote the time required and take on the responsibility of all the costs involved in homeownership, including mortgage payments, repairs, and maintenance? CMHC's has a Homebuying Step by Step guide to make things easier for you by providing the information you need to make a wise homebuying decision. It provides examples and worksheets that will guide you through the entire homebuying process, from the moment you make the decision to buy your own home to the moment the movers carry the first box through the front door. 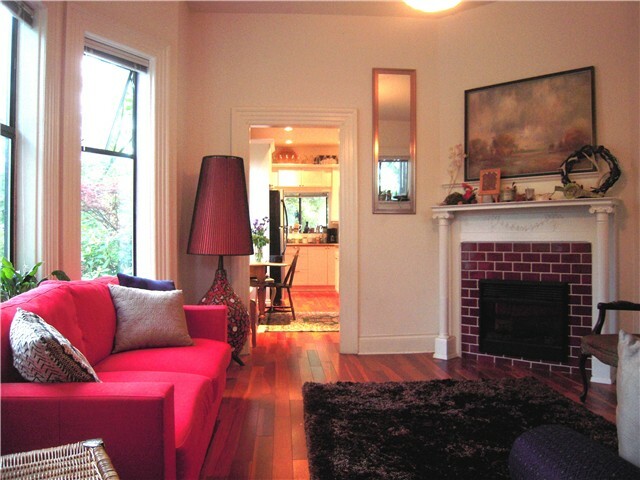 Go to Homebuying Step by Step to assess if homebuying is right for you. Do you know that applicances can account for up to 20 per cent of your household's annual electricity costs, and refrigerators use nearly half of this amount. 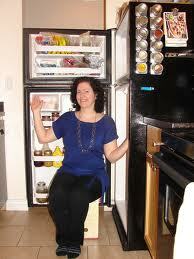 Making sure your refrigerator is running efficiently will save you energy and money. Your refrigerator has an enormous appetite for energy consumption and BC Hydro has a few cool tips to keep your refrigerator running efficiently. View all the cool tips to save energy and money.